“Isn’t technology wonderful?” says one of the inhabitants of Pallet Town, Kanto – your home in Pokémon Blue, and the root of every Pokémon game, and every Pokémon journey, ever since. It’s a statement of outright optimism from the dawn of the mobile gaming era. Mobility – the pocket power of the handheld device – is the central ideal of Pokémon. It’s in the miniaturised creatures your character carries around, and in the Game Boy he and they live on. Throughout all the games, your reality – trading and battling with friends, and latterly just passing strangers by – mingles with the gameworld. Your real journeys criss-cross its routes and cities. Pokémon games include magical artefacts, fantastic beasts, haunted towers and psychic powers, but the world of the games is almost always a modern, brisk one. 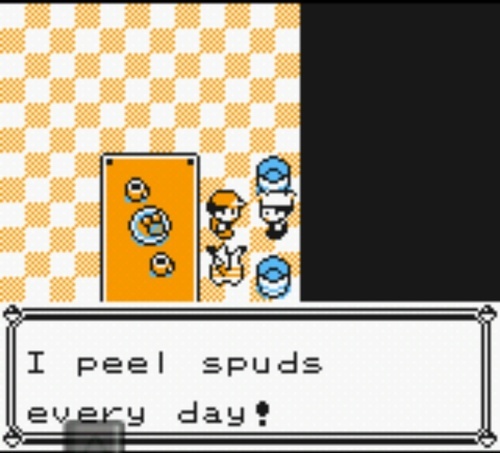 In Pokémon Blue you keep running into technology. Your climactic battle with the larcenous Team Rocket takes place in the region’s most high-tech corporation, you explore a burnt-out research centre, and your reward for becoming champion is a chance to capture the most powerful creature of all – not some ancient or primal force, but a clone in a set of form-fitting mecha-style armour. This constant genre shifting – explore a ghost tower one minute and a modern skyscraper the next, all in the name of adventure – is one of the reasons Pokémon is so beguiling. The lion’s share of attention and celebration the games receive go to their creatures and mechanics. The texture of Pokémon – its settings, stories and themes – gets much less love. But as one of the best-selling game franchises of all time, Pokémon is a core part of modern children’s literature – its lands, concepts and ideas as much a fixture in the imagination of its players as Narnia or Hogwarts. They deserve more attention, and these posts – one for each of the game’s six generations – are an attempt to do justice to these fantasy places which have occupied so much of my and my sons’ time. Of all the Pokémon regions, Kanto feels the smallest. It’s not a function of game size – there’s still loads of it – but it’s more homogenous than any other. This is down to graphics and colour limitations but also the layout of the region. Eastern Kanto – where the game’s middle act takes place – is tightly packed. It’s a set of linked towns around the central hub of Saffron City, and before you finally get into Saffron you feel like you’ve criss-crossed the area several times. Once Saffron’s been unlocked its satellite towns are more like suburbs, they sit so closely to their imposing mother city. The area is based on Tokyo and its surroundings, and sure enough Eastern Kanto feels more built-up than anywhere else in the games. Of course, you’ve done plenty of adventuring before you even get there. 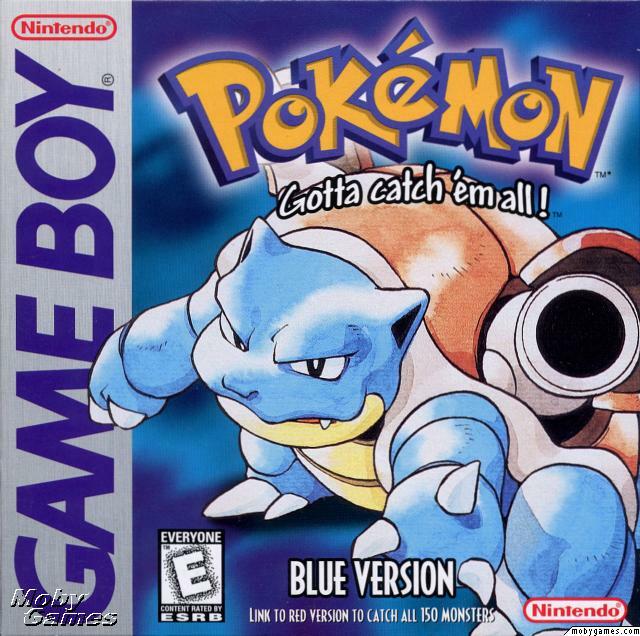 The game’s first act – the most important of any Pokémon game ever, since it has to introduce all the series’ core concepts and establish its mood for the first time – is in the more varied and sometimes wild terrain of Western Kanto. This is studded with what would turn out to be the basic locations of Pokémon adventuring: a rural town, gently sloping routes, a thick and bug-infested forest, a deep cave. As much as the eight gym badges you collect every game, these recurring location patterns give Pokémon its cosy feel, and you feel they could be shaken up a little more than they are. They started as a way to introduce the player quickly to multiple monster types, but now the early forest and cave slot unthinkingly into place. But that’s for later entries, and hardly Kanto or Pokémon Blue’s fault: their forests and caves should be taken on merit. 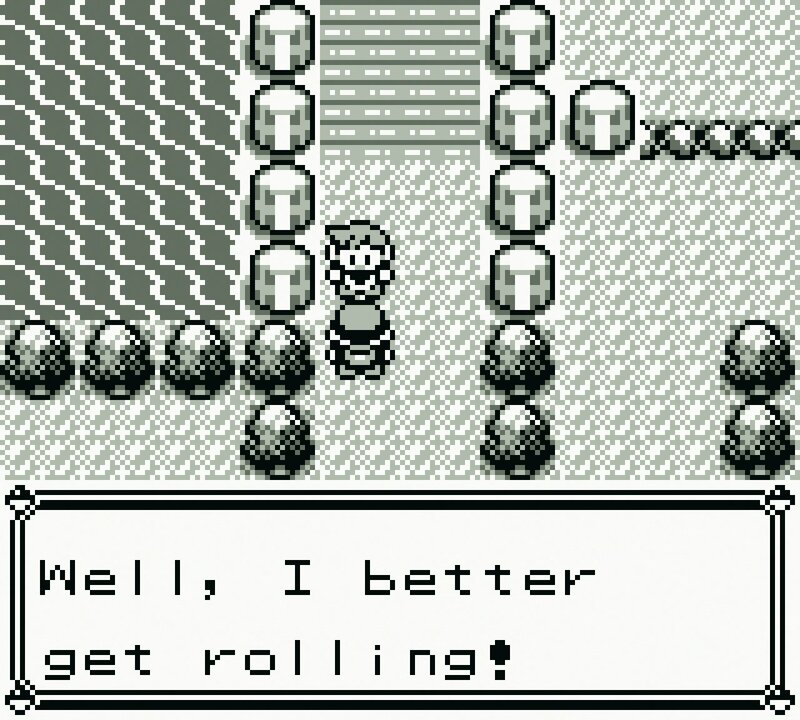 From the beginning, Pokémon worked its rudimentary graphics hard, extracting maximum atmosphere – often by having NPCs comment on how atmospheric it all was. And if the forest doesn’t offer much beyond atmosphere (and the chance to nab the de facto series mascot, Pikachu) the caves in particular are tough, more like dungeons than in any later game. You leave Mt Moon, your first cave, at the head of a bashed-up group of creatures, but with a sense of real achievement and relief at having cut, pecked and tackled your way through. This is the quintessential Pokémon travel experience – the location built well enough that you only find the way out just as you despair of ever making it. The more challenging gameplay – and the novelty of exploring and catching – helps you look past how repetitive these places are. Or it would, if the game wasn’t structured to remind you of it. Challenges in Kanto come in bunches, so you get three caves in quick succession, then two buildings in the middle game, then finally back-to-back mazes in the Seafoam Islands and Pokémon Mansion. Of all these, the caves are most painful, a remorseless procession of jovial Hikers, shrieking Zubats and enigmatic Digletts. 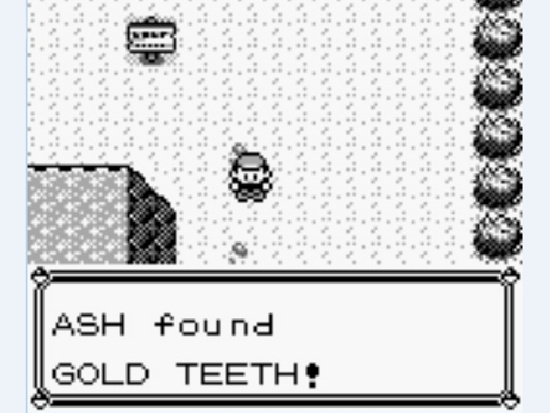 Pokémon Blue is mostly an adventure story, but it’s also part bildungsroman. In games, character growth is what you make it, so your hero’s personality can’t be said to have definitively changed as you travel. But by sleight-of-hand, structure can stand in for development. 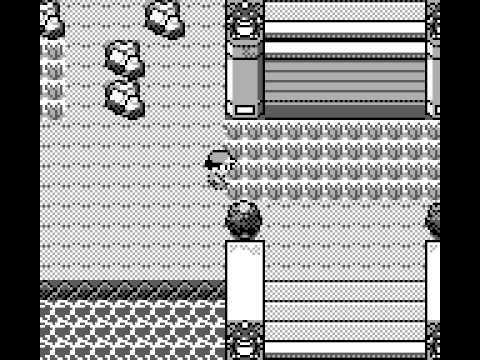 As you retrace your steps through Viridian City on your way to the Pokémon League, random encounters with the same feeble Pidgeys and Rattatas you saw off all those game hours before bring home how far you’ve come. And if you haven’t changed, your team certainly has – gone are the scraped-together bugs and birds you began with, replaced by battle-hardened and freakish monsters, with an array of brutal and strange moves. 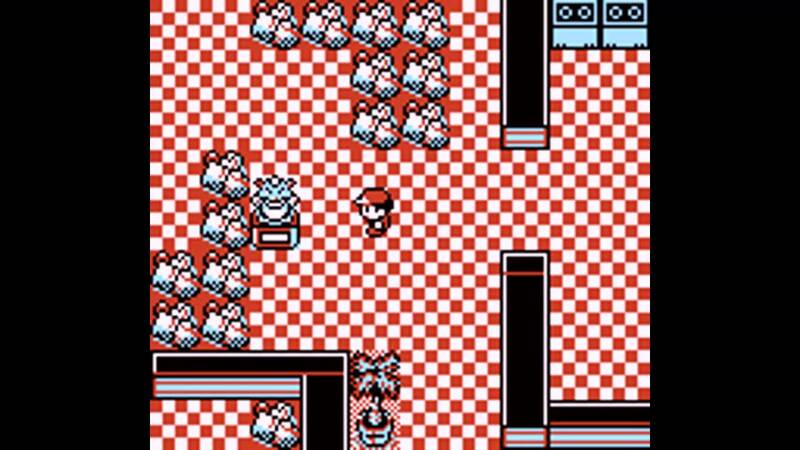 Pokémon Blue has a resource management element largely dropped by later generations – your pack, and even your ever-accomodating PC, can only hold so much, and your Pokémon learn attacks rarely. In combination this means players burn through their move-granting TMs, and your party is also your laboratory: gradually learning about balance, building the most effective group you can. Your group’s abilities – and your own growth – are subject to a recurring, mocking yardstick: the progress made by your rival. Always one step ahead of you, unrepentantly superior even once you’ve learned how to thrash him, happy to interrupt your crime-busting escapades if there’s a battle in it, your rival binds the game together. Later rivals were caught up in the plot, or left behind by it, but in Pokémon Blue your progress to the league IS the plot, and so your rival’s final defeat is the end of the game. It’s fitting – this is the Pokémon game that is most purely about training and battling, the one where every player was still a rookie. Before your final head-to-head with Gary, or Blue, or whatever you want to call him – the ability to ginger your motivation by naming your rival is one of the most-missed elements of Pokémon – your horizons have already expanded. The first glimmerings of a wider world beyond routine training and team-building are becoming apparent. The final act of Pokémon Blue is a voyage to the most exotic parts of Kanto – a sudden opening up of the map after the tightness of Eastern Kanto. Newly master of air and sea, you ride a Pokémon’s back to the ice caves of the Seafoam Islands and the volcanic Cinnabar, meeting legendary beasts and reading rumours of more. For all that Professor Oak, in the game’s closing speech, praises the love and bond you have with your Pokémon, your victory is as likely to have involved sheer firepower, and your access to these legendary super-weapons. (Articuno, the ice bird, can take down the most dangerous final boss single-handed). The “legendaries” captured players’ imaginations, setting up a far greater role in the sequel generation. Pokémon has always been extremely successful, but has never again been a craze in the way its first generation was. So those initial steps into Kanto weren’t just important at the time – they’ve come to define Pokémon as a story. When Pokémon X and Y come out, the original 151 creatures may be only a fifth of the available monsters – but will still account for the bulk of the franchise’s fan presence online: its gifs and memework. In Summer 2013 a TV special, Pokémon: Origins, was announced, designed as a cartoon recreation of the first game’s plot: the meeting with Professor Oak, the clash with Gary, the trip through Viridian Forest and the gym showdown with Brock. 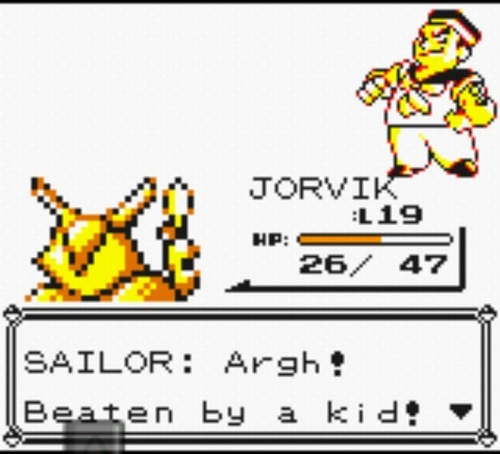 It’s a well the Pokémon series can’t help return to. 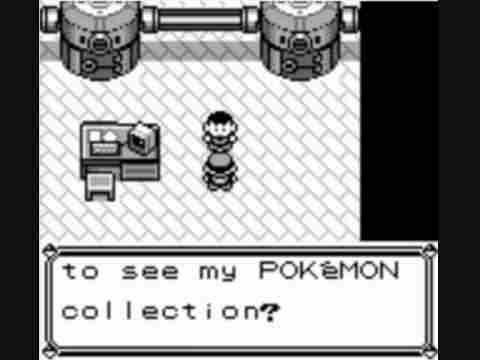 This game establishes the basic structure of Pokémon, so in a sense its many firsts – the Professor’s Lab, the gym, the villain team battles – are all setpieces. But they’re also repeated in every game. What gives the Kanto games their unique texture? MT MOON: I don’t have many firm memories of my first ever Pokémon playthrough – I’d picked it up as a game to occupy me on holiday, and while I enjoyed the game at once, I only really became a fan playing it with my son years later. 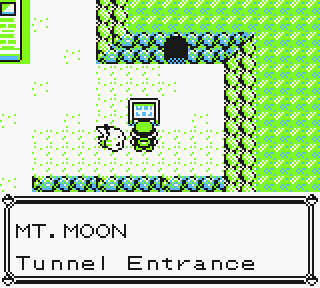 But I do remember reaching Mount Moon, so remote it gets its own Pokémon Center outside. In this wayfarer’s outpost an NPC tells you “They say Clefairy came from the moon…” – this is Pokémon doing what great children’s literature has always done, using scraps of flavour text to sketch radically wider boundaries for its world than the plot can actually contain. Clefairy’s lunar origins matter not a jot in this game or any other – looked at in terms of pure mechanics it’s a bulky Normal-type distinguished more by its relative rarity than anything else. But they make the game feel bigger and stranger. BILL: Pokémon is a pocket game whose love of technology and coding is never far from the surface. The Game Freak designers can generally be found (and in later games battled) in one of the big cities, a cameo a bit like Stan Lee and Jack Kirby showing up in early Marvel comics. But in every game there’s also a micro-subplot involving meeting the person who programmed the networked Pokémon storage system you use. In Blue this is Bill, a Pokémon researcher and collector – you fight your way past the usual bunch of trainers to reach his house, and find he’s been merged with a Pokémon in a teleporter accident. Once this Fly-style predicament is dealt with, he shows you some rare creatures for your ‘Dex and sends you on your way with an item for the next stage. S.S. ANNE: The Pokémon games are basically a sequence of fights to level up your creatures and get to… other fights. So those fights need inventive window-dressing. Hence the S.S. Anne, a cruise ship that docks in Kanto once a year and is full of Trainers itching to fight after their voyage. Battling your way through stateroom after stateroom of trainers and loot is somehow very satisfying, and the ship sails away at the end, giving the impression that this was all a curious and indulgent interlude – a once in a game opportunity to do, er, the same things you do all the rest of the game. But it feels special. LAVENDER TOWN: The “Noble Purple Town” provides what’s probably Pokémon Blue’s most famous sequence and certainly its most charismatic location – an ancient town near the coast dominated by a tower full of the restless ghosts of dead Pokémon. 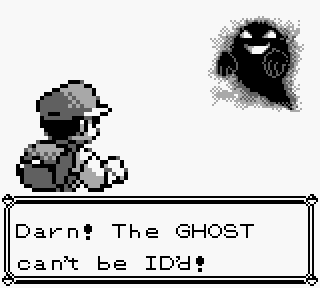 The sudden tonal shift – until this point there was no indication Pokémon even could die – and the appearance of foes you genuinely can’t fight provide a double shock the series has never equalled. 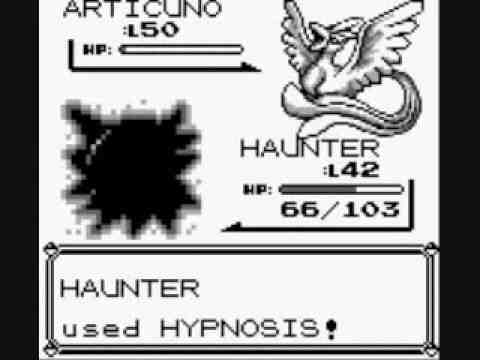 The Lavender Town sequence is as eerie as Pokémon has ever got, and became the focus for much of the urban mythology around it during the first Poke-craze: secret Ring-style screens and hidden music, supposed Japanese suicide cults. WAKING SNORLAX: In a world where you can fly from city to city on a Pokémon’s back, maintaining the roads is visibly not a priority. Most of the gameworld’s routes are country lanes, prone to being blocked or barred. The original roadblock is the mighty Snorlax, a supremely fat and lazy Pokémon flopped down at two crucial junctions. He’s your first staged, non-random encounter with a catchable Pokémon, and nabbing him feels enormously satisfying (plus he’s something of a powerhouse). He’s a far more elegant and rewarding solution to the problem of barring the player’s way than the wretched gate guards of Saffron City who block your path simply because they’re thirsty. 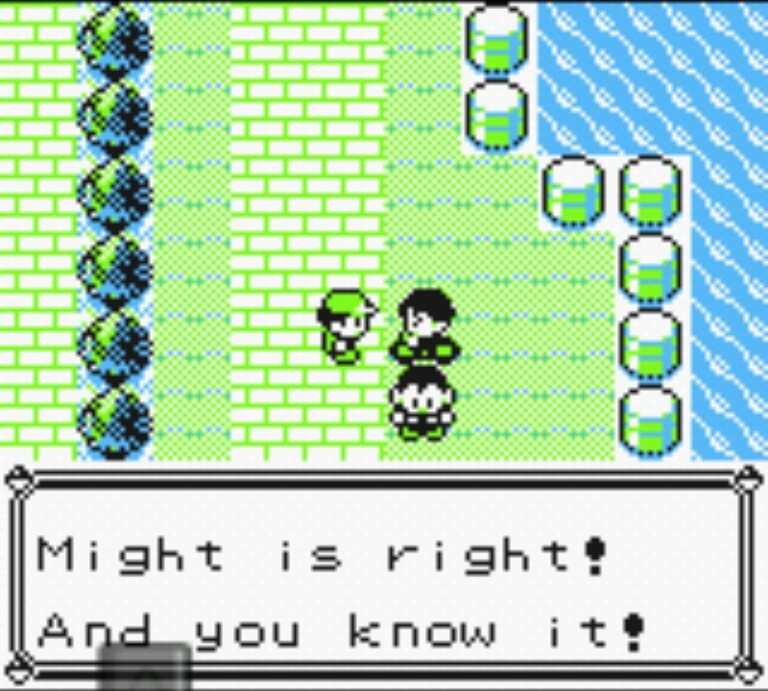 SILPH CO: I’ll talk more about Team Rocket in the Johto piece, but the best Rocket encounter in Blue is Silph Co: an 11-floor corporate HQ they’ve taken over. You battle your way up and down the building like a junior Bruce Willis, in the game’s longest setpiece – ending in your first battle with Rocket Boss Giovanni. Some of the staff have gone over to Team Rocket, so you never quite know who might help you or who will mean another debilitating battle. Even the items can’t quite be trusted. In truth it’s as frustrating as it is enjoyable, thanks to the designers’ love of teleport panels on the floor (a series-long fixation). But the payoff is worth it, as you walk out of Silph with your reward: as so often in Pokémon, the very loot the villains were trying to steal. SAFARI ZONE: A vast, wild, roamable environment smack in the middle of Kanto, the Safari Zone tweaks the game’s mechanics – an all-you-can-catch buffet of wild Pokémon, but on a timer. After the relatively compressed paths around Saffron City, the Safari Zone feels enormous and thrilling – anything could be lurking in there, and the deeper you get the higher your chance of snagging something entirely unexpected. Again, this is a location several Pokémon games have used but no later Safari Zone feels as rich and trackless as the Kanto one: in the days before you could look up encounter frequencies online, the Zone was set up so you could almost never be sure you’d actually explored it all. POKEMON MANSION: A crumbling research station on far-off Cinnabar Island, the Pokémon Mansion is the home of the game’s slender backstory. Broken-up diary entries sketch a cataclysmic storyline, as a cloned super-Pokémon destroys the place and escapes. In later games this would tie into the main plot – here it only sets up the game’s bonus content, as the focus is fully on your journey to the league. But if anything that works better – like a lot of the content in Pokemon Blue, you feel like you’ve stumbled upon something that doesn’t quite fit the rest of the game, rather than a step along a carefully planned path. That slight wonkiness is part of why the games spawned quite so many rumours, playground claims that if you did a particular thing thirty times, you’d meet some ultra-rare Pokegod. Of course, the fact that there really WAS a 151st Pokémon in the game – the uncatchable Mew – sealed that particular deal. GIOVANNI’S GYM: The game sets up a mystery early on – who is the absentee leader of the Viridian City gym? 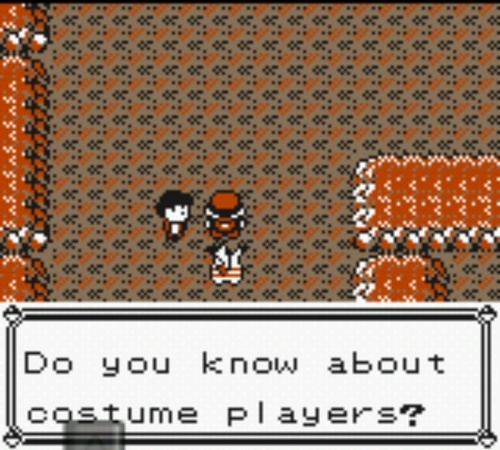 He turns out to be Giovanni, head of Team Rocket, the final barrier between you and the Pokémon League. OK, there’s not many other candidates, but this is still a nice story touch. Just as mob bosses – in TV and comics, at any rate – present carefully maintained fronts as businessmen and pillars of the community, so the Rocket Boss has infiltrated civic life in the Pokémon World at the very highest level. This being a game for kids, he takes his defeat with surprisingly good grace and retires from criminal life once you pummel him. BADGE GATES: My original playthrough ended when my holiday did – back in rainy England, and without kids to share in the fun, I lost interest and never got to the Elite Four. So I missed out on the curious interlude of the Badge Gates – a lengthy section where you walk or swim through 8 checkpoints, presenting your gym badges on the way. There’s basically no way to get to this without the badges so the checks are a formality, simply an enforced pause by the game – a chance to reflect on what you’ve achieved before your final tussle. When I finally reached them – on the playthrough of Pokémon Blue I used to write this piece – I expected to find them pointless: instead they felt surprisingly significant, a pleasant and discreet pat on the back by the designers for getting this far. NEXT: Johto! 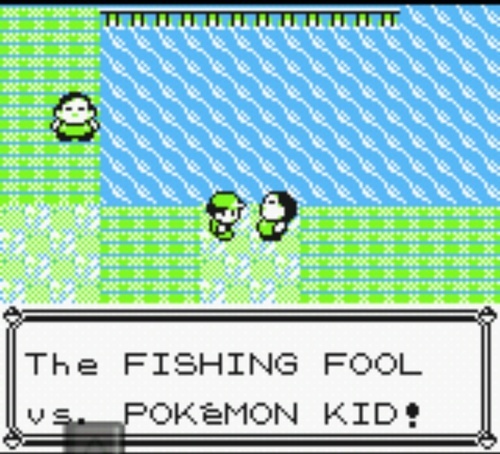 A playthrough of Pokémon Silver, and an essay about villainy, history, and the type of children’s story this is. Very nice article. Keep posting such stuff. I am a big fan of Pokemon Game. 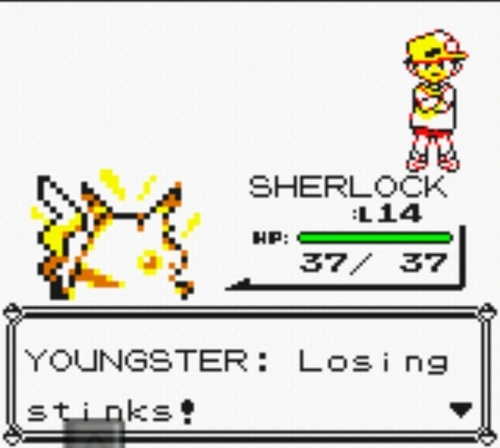 Pokemon games are my first and last love.